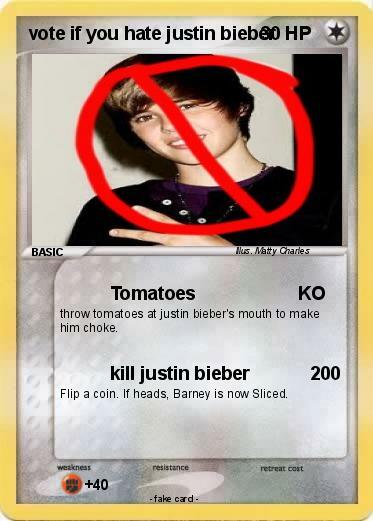 throw tomatoes at justin bieber's mouth to make him choke. Flip a coin. If heads, Barney is now Sliced. Comments : Justin bieber is a shek who has an ugly little dirt face.